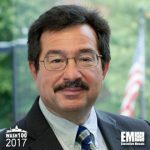 Executive Mosaic is honored to announce Tom Romeo, general manager of the federal services segment at Maximus, as an inductee into the 2017 edition of the Wash100 — Executive Mosaic’s annual selection of influential leaders in the government contracting arena. Romeo is a GovCon and information technology industry veteran who has been with Maximus since 2011 and oversees all operations, business development and financial activities of the firm’s U.S. federal business. In an October 2016 article on Government Executive, he wrote that digital technology platforms and content should be integrated across various channels and services in order to change the way government agencies deliver services to citizens. “Delivering the next era of citizen engagement is not about just making new technologies available to the public… It is also about providing an experience that is integrated, user-friendly, and allows the public to get their problem solved via their channel of choice,” he said. In December 2016, the Texas Workforce Commission selected Maximus for the regional 2016 Employer of the Year award in recognition of its efforts to employ and retain people with disabilities. “The passion of our staff in helping government agencies support people with disabilities is one of the hallmarks of Maximus,” Romeo said. Prior to Maximus, Romeo worked at Accenture as a senior executive responsible for the firm’s health and human services business. He spent 25 years at IBM and held leadership roles in the company’s healthcare, education, federal government, global business services and financial services portfolios. Executive Mosaic congratulates Tom Romeo and the Maximus team for their selection to receive this award.